Great news for "Fixer Upper" fans dealing with withdrawal, there's a spin-off of sorts coming out of Waco – Joanna Gaines' go-to woodworker is getting his own show. 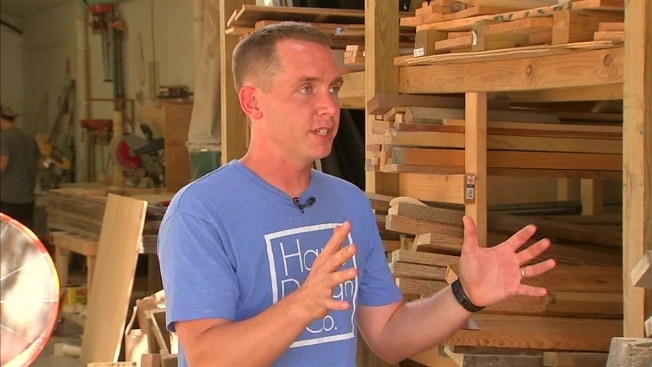 Clint Harp and his wife Kelly took to Instagram to announce his show "Woodwork" will become a fixture on the DIY Network. The show will feature the couple making wood furniture and accessories at their shop Harp Design Co. in Waco. Harp quit his six-figure sales job to pursue his passion in woodworking. The couple nearly went broke, and Harp was about to give up on his dream, when he struck up a conversation with Chip Gaines at a gas station – the rest, as they say, is history.